Which Clover is Right for you? 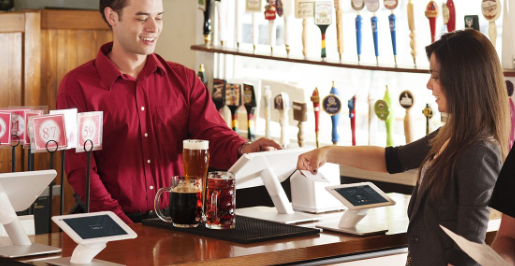 A beer garden uses two Clover Stations at their counter to take a customer’s initial order quickly plus a Clover Mini in order to take EMV and Apple Pay. 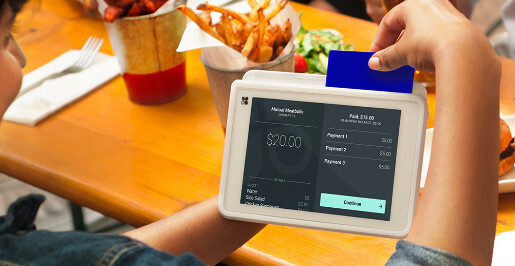 Servers carry around Clover Mobile devices for add-on food and beverage sales so patrons don’t have to leave the table. 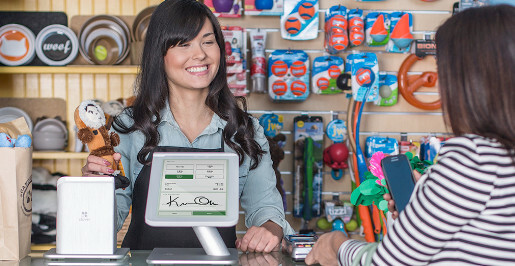 When it comes time to close out the check, customers can use Clover Mobile at the table, insert their own cards (or use Apple Pay) and split the check as they see fit. A restaurant has two Clover Stations in the back where most of the orders get entered. But in their second floor dining section, the server carries a Clover Mobile so that he can get his orders in quickly and accurately and take payments without running up and down the stairs. And the manager up front has her own Clover Mobile so she can see what’s going on across the restaurant and take add-on beverage orders for customers as she walks through the dining room. A peak-period portable linebuster that also saves time with the day-to-day? Yes, please. A pet store has a Clover Station at the front counter. But during the local summer street fair they want something they can bring out to the sidewalk. And for the holiday peak period, they use a Clover Mobile as additional checkout capacity to cut down on lines and enable their customers to purchase the merchandise right where it’s displayed. The rest of the time, their Clover Mobile helps them scan inventory, and the data is instantly synced with their Clover system.